I'll start this by saying that I have no idea how trademark law works in law, but the different tests mentioned in the article can still be analysed and commented on. I agree with the majority here that there is no competition here, the different sizes (they are different, right?) in particular would make it extremely unlikely that anyone would want to use the dvd case as a replacement for real luggage. On the dilution side, I find myself wondering. The trademark refers to the style and shape of the briefcase... if someone sees a case that looks like this, Rimowa wants them to think of their cases and want to buy one. 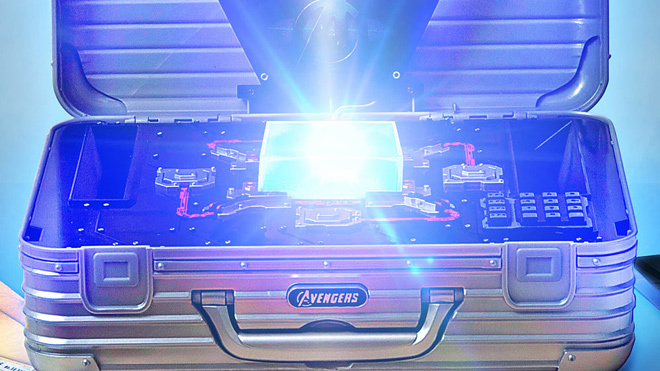 If people start associating the style with the Avengers movie (or anything else), then that could be justified as dilution because (more) people seeing the case may now think about movies instead of Rimowa briefcases. Does the law actually work like that? I have no idea. What happens if the competition test fails but the dilution test succeeds? I have no idea. It does seem that the best winning move for Rimowa would have been issuing a license with a condition that the case would require printing or embossing "briefcase design licensed from Rimowa" somewhere on the case itself. I wonder how much say the lawyers actually have in the decisions made in these affairs. Then again, if Rimowa didn't find out until after the cases were made then things get more difficult again. Is it possible that this is the stick held up against the carrot (that we can't see) asking for the studio to add the license to the case?